Supervisors (without dogs) are welcome to attend. This will help supervisors without prior handling experience to better understand the ability of the narcotic dog team and what is and is not possible. 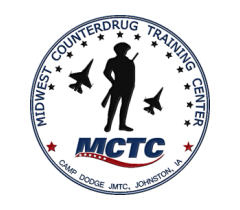 If you are a student attending without a K-9, please notify the MCTC staff so they can allow the maximum number of K-9 teams to enroll. K-9 team MUST have a prior drug detection certification. This certification may be from any certifying entity. Proof of certification must be provided prior to the start of the class and may be mailed or faxed to our office.